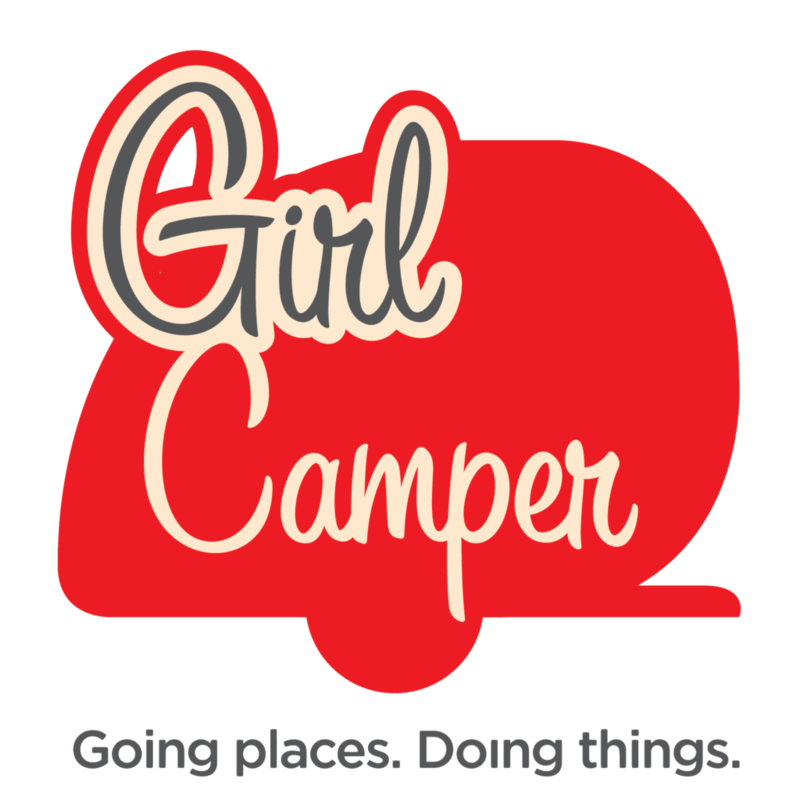 The Girl Camper logo decal for truck, car, camper window, cover of travel journal. 4″ x 4″. $5.00 includes shipping.